The Dev Mode is an elegant way to make some features of the Toolbar Extras plugin more optional. Some features may not be needed all the time or for all use cases. Also, this allows for some more advanced, code-savvy features to have them optionally available. 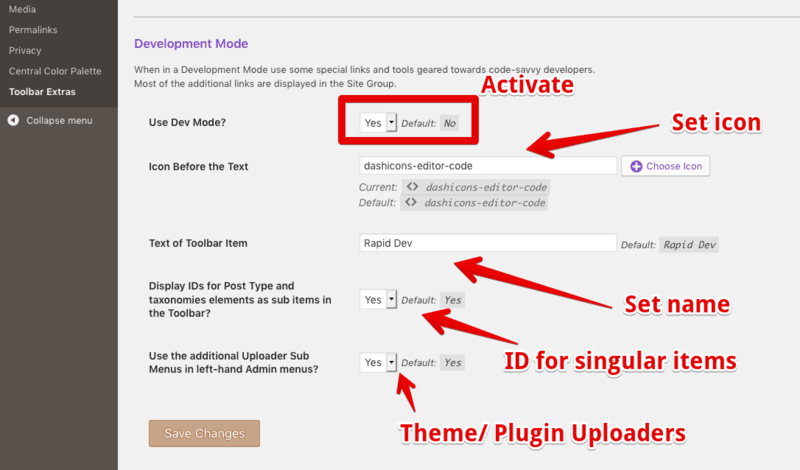 While enabled, the Dev Mode offers additional plugin integrations – these are listed here.